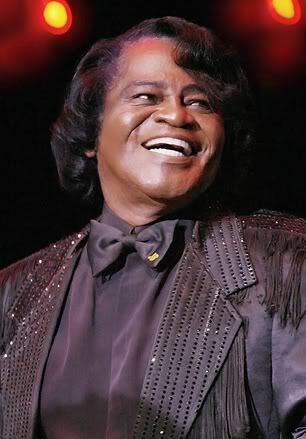 Often referred to as the Godfather of Soul, the late great American singer, songwriter, arranger, and dancer, James Brown was born on this date May 3rd, 1933 in Barnwell, South Carolina. He was a prolific singer, songwriter and bandleader and became one of the most iconic mportant and influential figures in funk and soul music from 1956-2006. This remarkable achievements earned him the sobriquet “the Hardest-Working Man in Show Business” and helped him become one of the most popular entertainers in 20th-century popular music. Among his most popular songs are “It’s A Man’s World” “Try Me” “Night Train” “Please, Please, Please” “Papa’s Got a Brand New Bag” “I Got You (I Feel Good)” “Cold Sweat ” “Say It Loud—I’m Black and I’m Proud” “Get on Up” and “Super Bad. Brown was raised mainly in Augusta,Georgia, by his great-aunt, who took him in at about the age of five after his parents divorced. Growing up in the segregated South during the Great Depression of the 1930s, Brown had a really impoverished upbringing and this probably explained his later penchant for wearing ermine coats, velour jumpsuits, elaborate capes, and conspicuous gold jewellry. Neighbours taught him how to play drums, piano, and guitar, and he learned about gospel music in churches and at tent revivals, where preachers would scream, yell, stomp their feet, and fall to their knees during sermons to provoke responses from the congregation. Brown sang for his classmates and competed in local talent shows.At age 15 Brown was sentenced to 8 to 16 years in prison after being arrested for breaking into cars but was released after 3 years for good behaviour. The United Nations General Assembly declared May 3 World Press Freedom Day or just World Press Day. It was set up by the United Nations General Assembly to raise awareness of the importance of freedom of the press and remind governments of their duty to respect and uphold the right to freedom of expression enshrined under Article 19 of the 1948 Universal Declaration of Human Rights. It also marks the anniversary of the Declaration of Windhoek, a statement of free press principles put together by African newspaper journalists in 1991. UNESCO marks World Press Freedom Day by conferring the UNESCO/Guillermo Cano World Press Freedom Prize on a deserving individual, organization or institution that has made an outstanding contribution to the defence and/or promotion of press freedom anywhere in the world, especially when this has been achieved in the face of danger. Created in 1997, the prize is awarded on the recommendation of an independent jury of 14 news professionals. Names are submitted by regional and international non-governmental organizations working for press freedom, and by UNESCO member states. The 2011 World Press Freedom Day celebration was held in Washington, D.C., USA on May 1–3. It was the first time the United States had hosted the World Press Freedom Day celebration. The theme of the event was 21st Century Media: New Frontiers, New Barriers. The event affirmed fundamental principles of media freedom in the digital age—the ability of citizens to voice their opinions and access diverse, independent information sources—20 years after the original declaration was made in Windhoek, Namibia. After lunch I would like to go down toThis years EDG Sun Fest 2015, which takes place Sunday 3 May 2015 at the Edgar Davis Rugby Ground on Severn Park, Bridgnorth. This year features an amazing line including Live Music, kids activities including :Quad Bikes, Rodeo Bull, Gladiators, Slide, Bouncy Castles and a Wrecking Ball. Food served includes Ice cream, Hog Roast, Barbecue and Hobsons Bar.